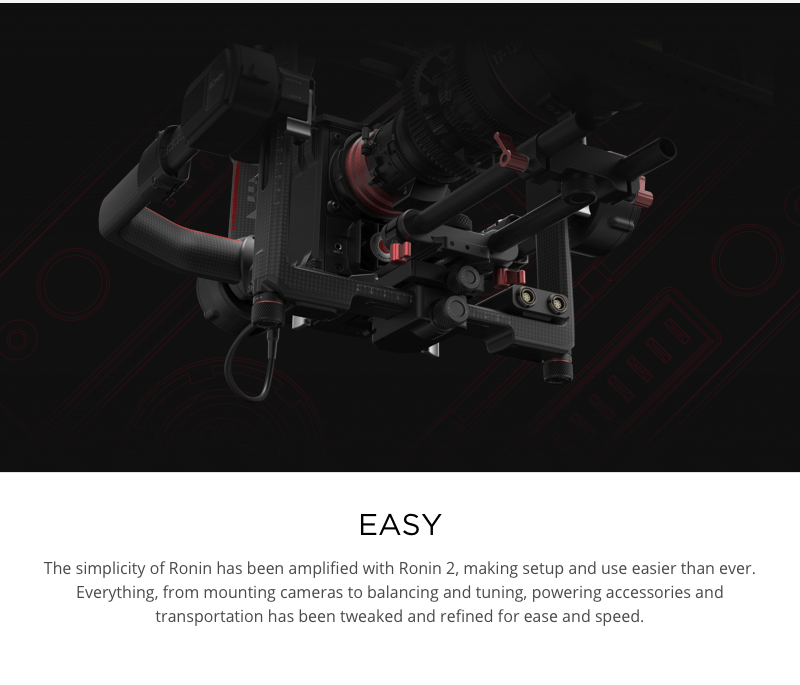 The DJI Ronin 2 Professional Combo unit is a dramatic evolution of the original Ronin technology, reinvigorating many of the familiar Ronin-M features with further evolved hardware and software facilities. 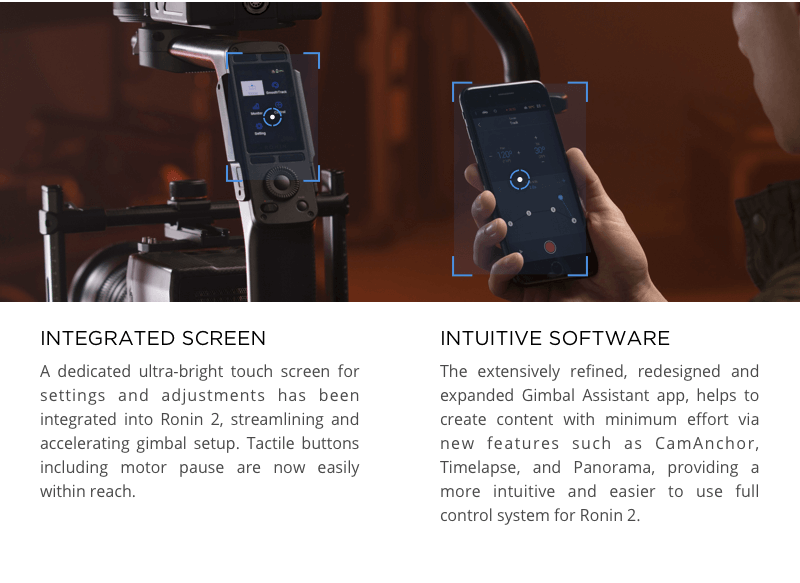 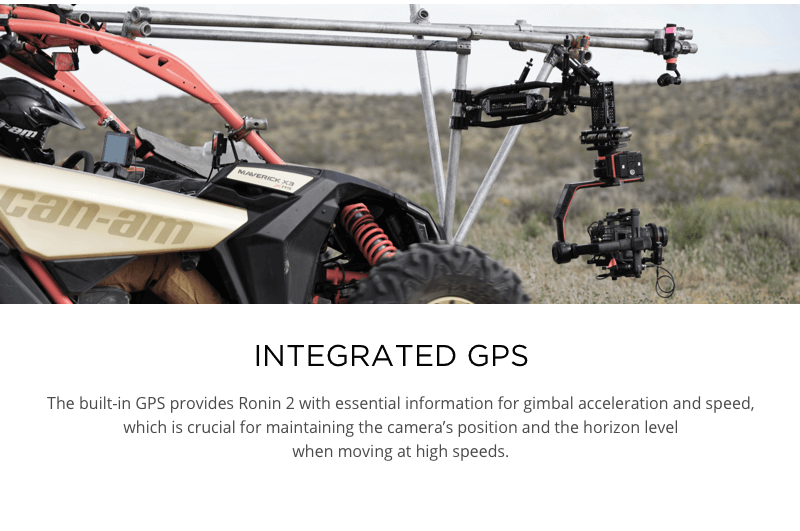 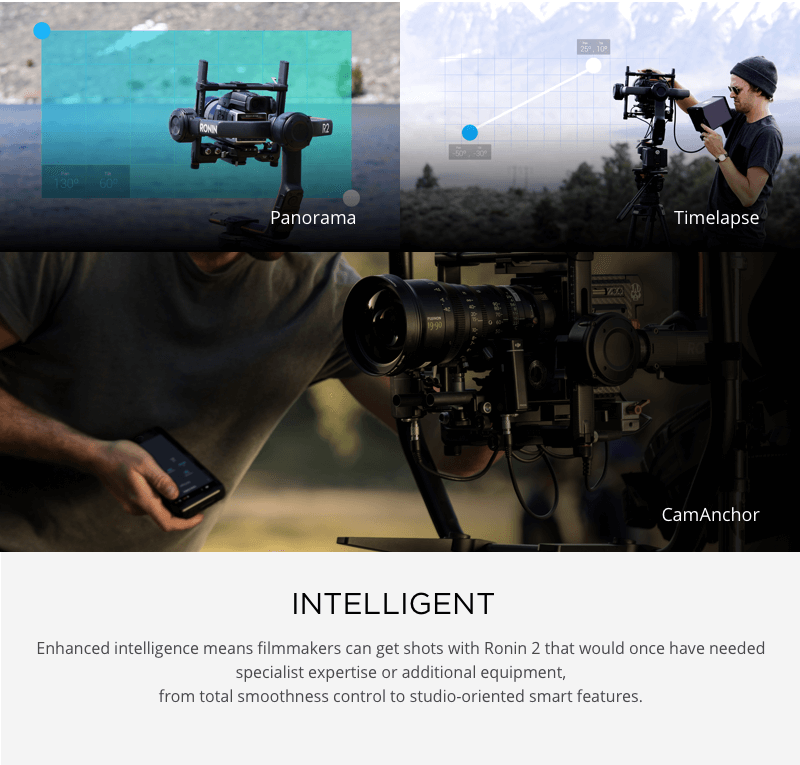 These features have made Ronin 2 easier to use and quicker to setup than ever, all the while sustaining its more sophisticated and advanced capabilities. 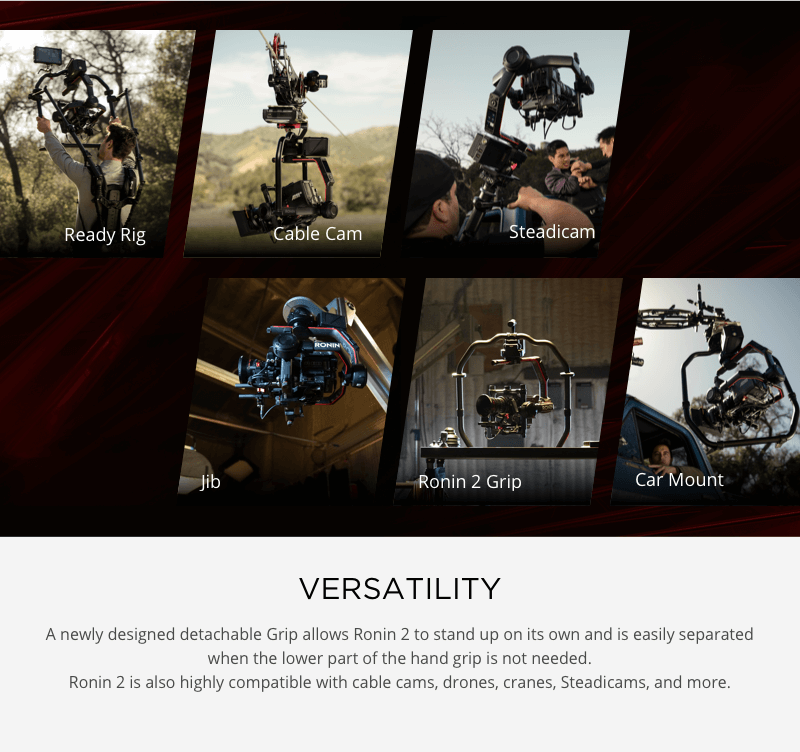 Ronin 2 has made everything from the camera mounting process, to balancing and tuning, accessorizing, and even transportation remarkably user-friendly and quick. 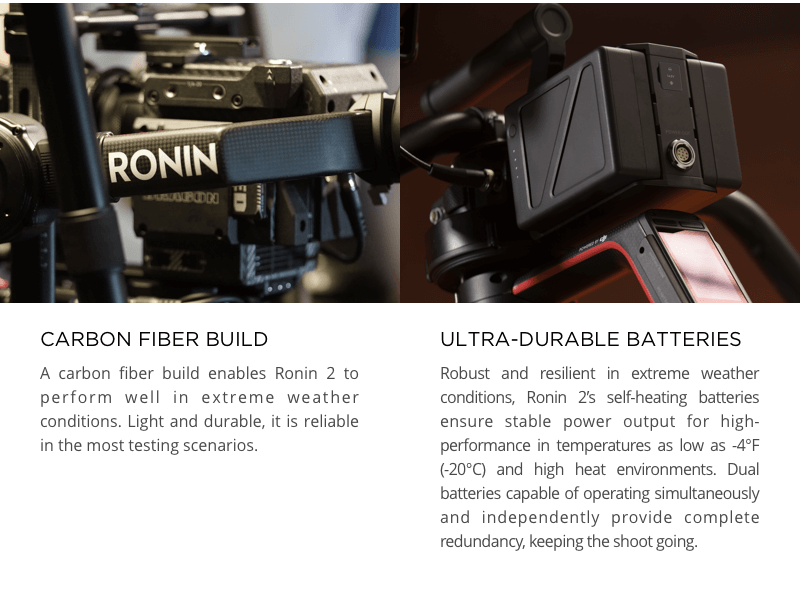 Every aspect of the Ronin 2 Professional Combo has been created to ensure the highest standard of reliability. 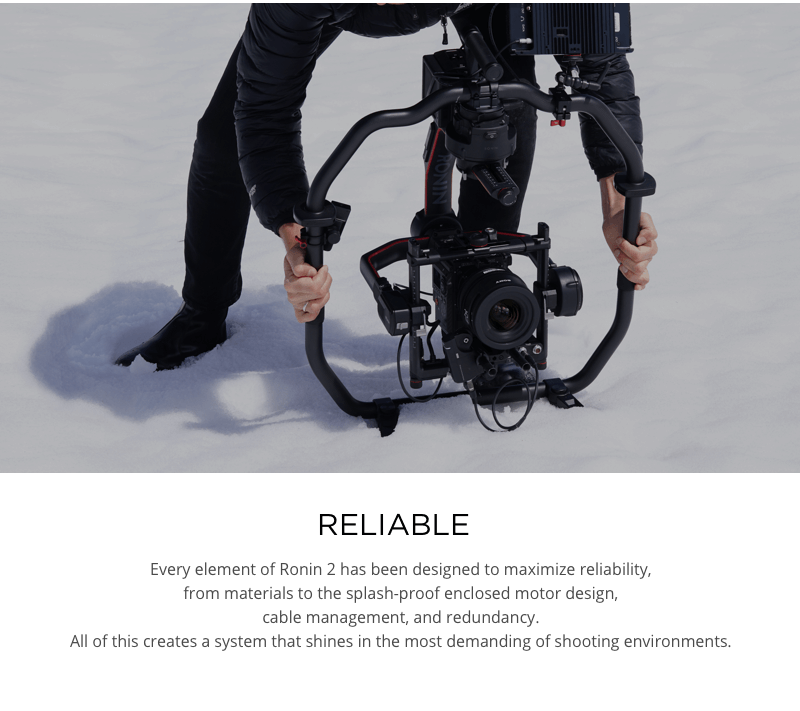 A splash-proof, fully enclosed motor design with tight-nit cable management and production ready system redundancy help safeguard against on-set delays and gear problems. 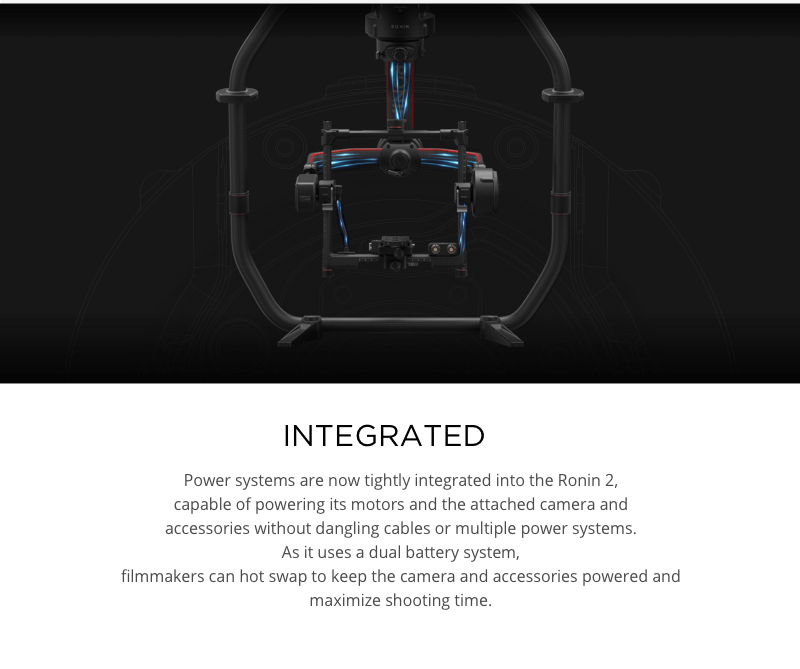 Newly upgraded high torque motors expand the array of supported camera rigs and setups, and also improve wind resistance and high G-forces caused from high-speed car rigging ensuring your shots always stay smooth and secure in flight. 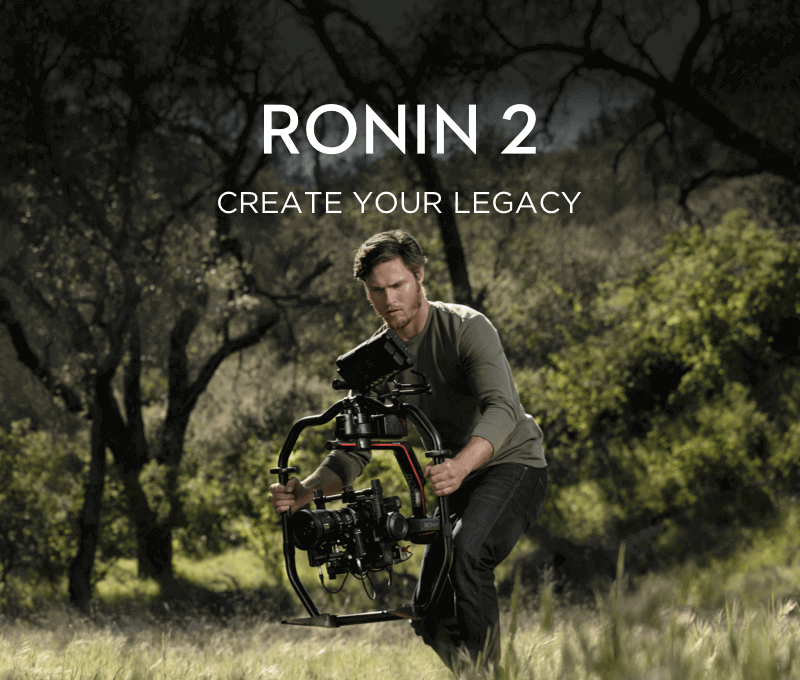 Ronin 2 Professional Combo - What's Included? 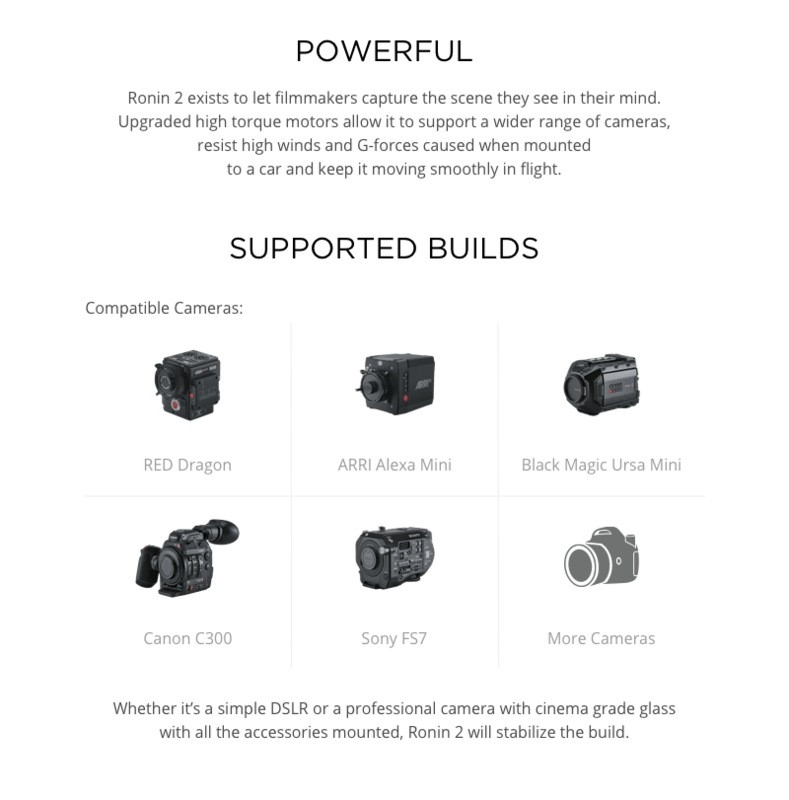 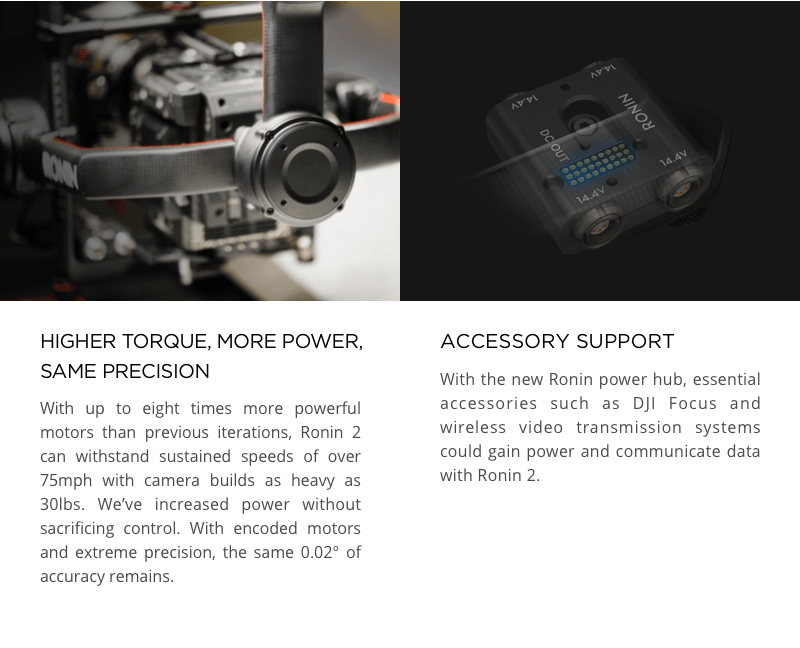 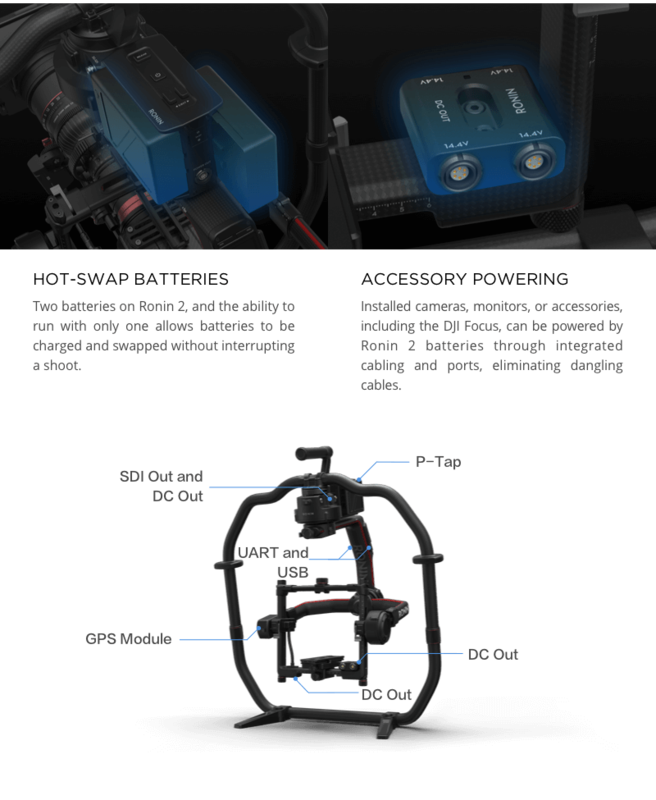 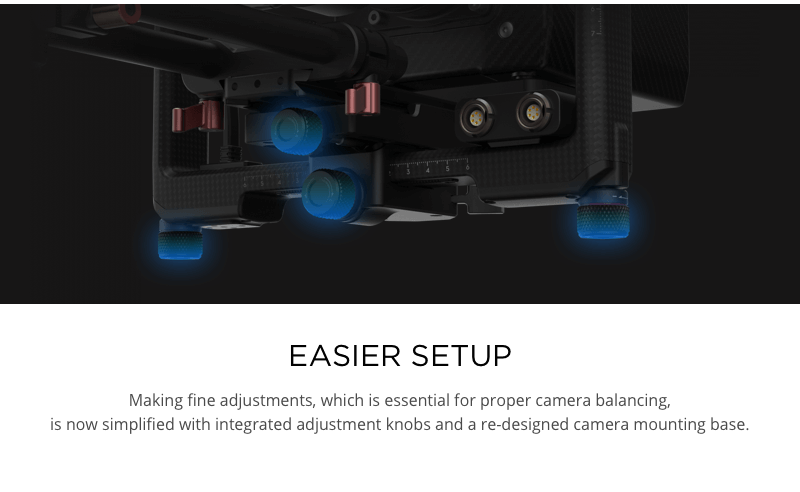 Below please find a list of the included components with the Ronin 2 Professional Combo, all of which are contained in this combo package.